Consultation on and coordination of wedding services. Recommendations for your wedding location and dinner reception. Scheduling your marriage license appointment with an agent closest to your hotel. Confirming and paying all of the vendors. Confirmation email including a detailed timeline, ceremony questionnaire, helpful tips for the bride and groom, directions to the marriage license agent and wedding location, numbers for dress pressing. Complimentary island activity planning service. All of our Wedding Packages include the above services. You may be asking yourself, ‘”What is the advantage of hiring a wedding coordinator to arrange my Maui wedding?” First, we save you a lot of time in researching on your own. I’ve been arranging Hawaii weddings, vow renewal ceremonies and commitment ceremonies for island visitors since 1985, so have already done all the footwork for you. 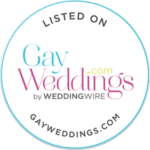 With years of experience behind me, I can answer your many questions about our wedding services, the best wedding sites, the weather, and places to stay. Second, you can be assured of receiving the highest quality service from the most qualified and dependable wedding ministers, photographers, videographers, musicians, florists, and other vendors. They must receive my stamp of approval before they are hired, so you can be assured of qualified professionals who provide quality services. Third, we save you stress and worry over whether everything will go as planned. I confirm and reconfirm with my vendors, and we stay in contact through cell phones. You also have the convenience of working with only one person, rather than several. And fourth, my vendors are accustomed to working with one another, so we are familiar with one another’s styles. Your wedding will flow smoothly and as planned, leaving you free to just enjoy your wedding day. Weddings are such an intimate and emotional time, so it’s important that the people who are there to provide the services are not only professional, but also sensitive, caring and personable. I take care to hire wedding ministers, videographers, and musicians who are not only great at what they do, but who are people with heart, who will contribute to the loving energy of the occasion. The majority of our weddings consist of only the couple, with no guests, and our wedding couples appreciate the warmth and love that we bring to their wedding. We all leave feeling that we have made new friends. I welcome the opportunity to be of assistance in guiding you easily and gracefully through the process of planning your Maui wedding.